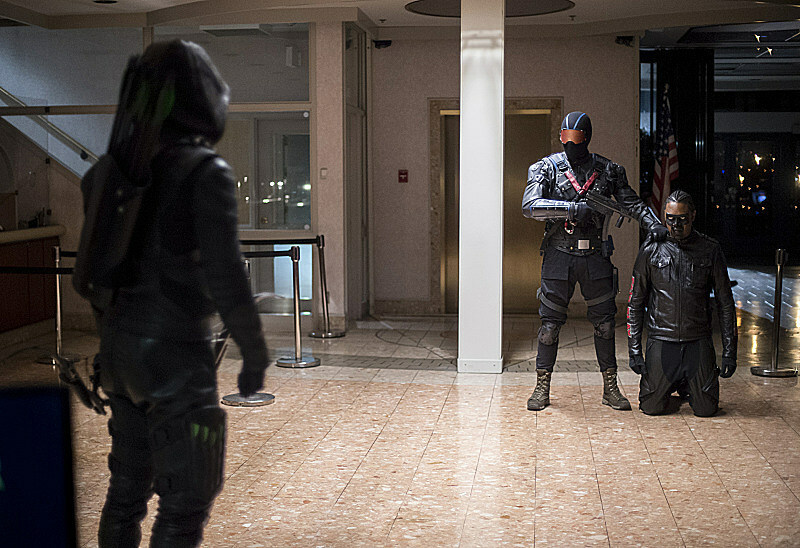 Not withstanding the DC artists who thought it wise to name a vigilante hero “Vigilante,” it’s a name you’re going to hear quite a bit in next week’s Arrow, aptly-titled … “Vigilante.” If nothing else, at least check out the adapted costume in new photos and a trailer for our final pre-crossover episode! DOLPH LUNDGREN “ROCKY” GUEST STARS – When the bodies of two criminals are dropped at SCPD, Oliver (Stephen Amell) realizes there is a new Vigilante in Star City. The team is split about whether they should stop someone who is helping keep the city safe. Diggle (David Ramsey) is frustrated with his new situation and Thea (Willa Holland) fights for Lance (Paul Blackthorne) who confesses a shocking secret. Meanwhile, in the flashbacks, Oliver finally sits down with Konstantin Kovar (guest star Dolph Lundgren). 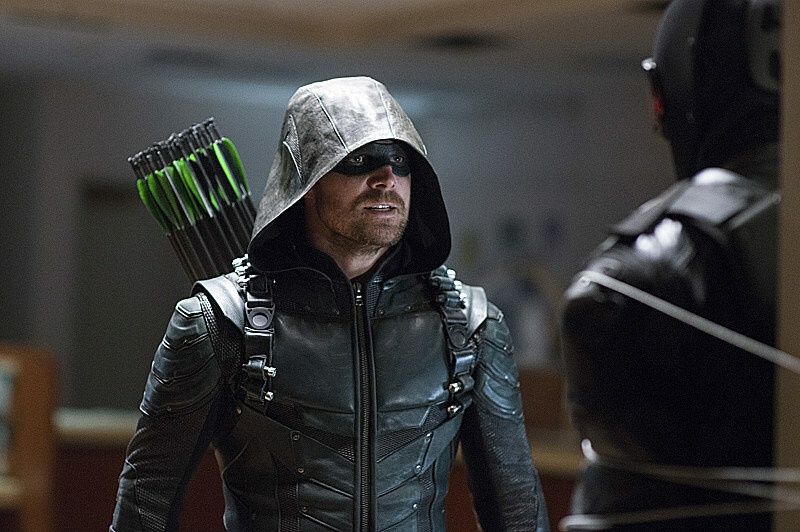 Whether or not Arrow sticks with Vigilante’s comic alter-ego (there’s definitely something fishy going on between Prometheus, and other new characters this year), next week’s outing will mark the final before that big four-way crossover. 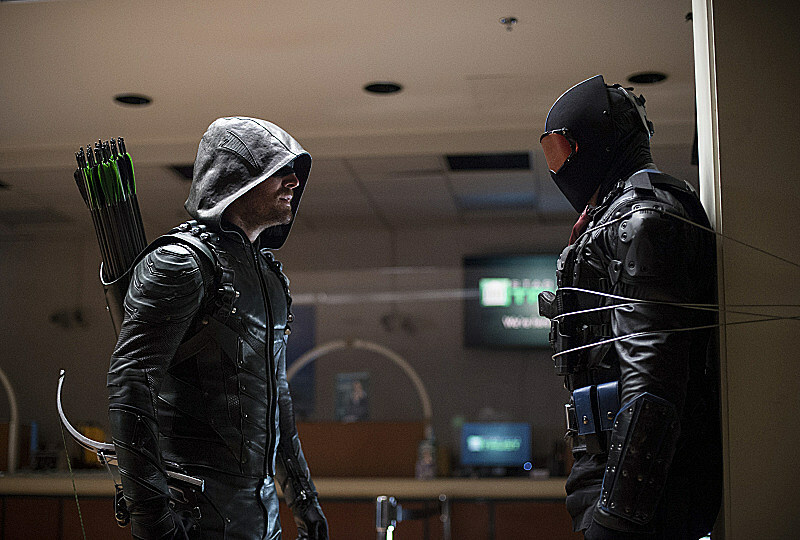 Sitting out November 23, Arrow will return on November 30 as the second “Invasion!” leg, and also its 100th episode. You can watch the trailer again above, and stay tuned for the latest Arrow Season 5.